Thousands of glass objects are moved around the Museum by the collections department for exhibition changes, photography, loans, and research every year. Despite their training and experience, sometimes even our expert staff are nervous about moving certain objects. These are our top 10 objects that are the scariest to move. Susan Plum (American, b. 1944), Brooklyn, N.Y., 1999. © Susan Plum. 2001.4.70. 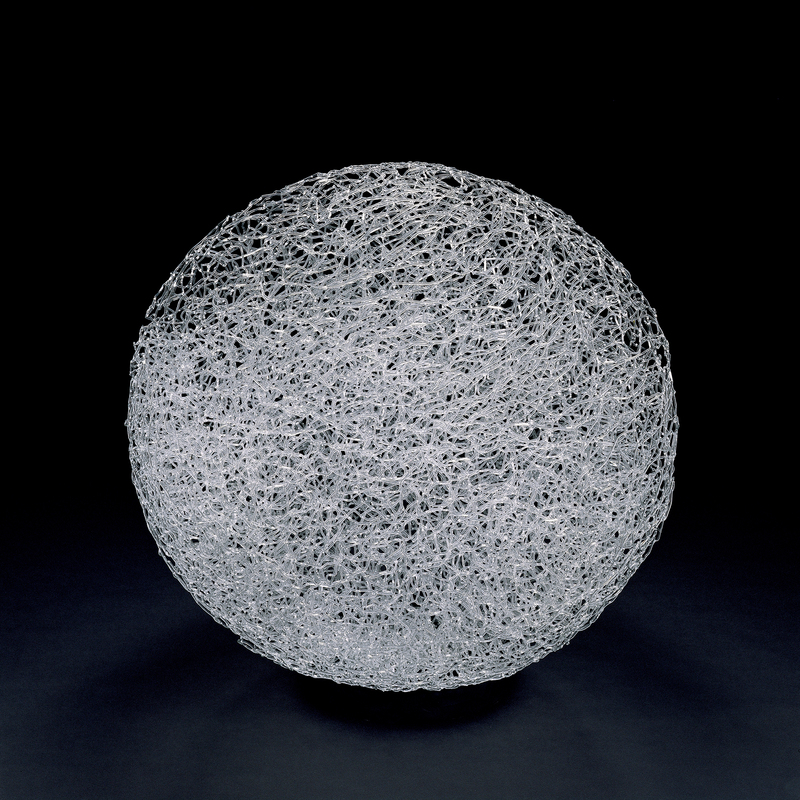 This monumental (diameter of almost 3 feet) densely woven sphere of flameworked Pyrex rod is one of the scariest objects to move in the museum. While it hasn’t sustained any visible damage so far, it pings with the sound of cracking glass every time it is moved. In the 15 years that this large, delicate piece (4 feet 4 inches by 4 feet 9 inches) has been in the Museum’s collection, it has been moved as little as possible. Even inside its dedicated vitrine the many long, thin glass rods and liquid filled tubes are vulnerable to movement. Leopold and Rudolf Blaschka, Dresden, Germany, 1885. Lent by Cornell University, Department of Ecology and Evolutionary Biology. L.17.3.63-516. 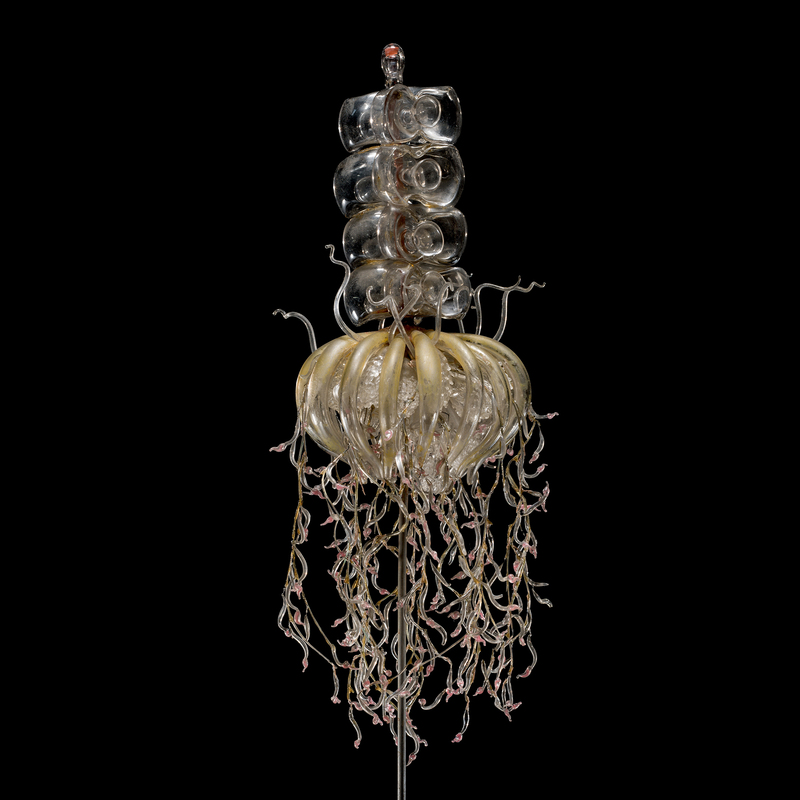 The long tentacles of this life-sized jellyfish model were carefully reconstructed and reattached by our conservators. 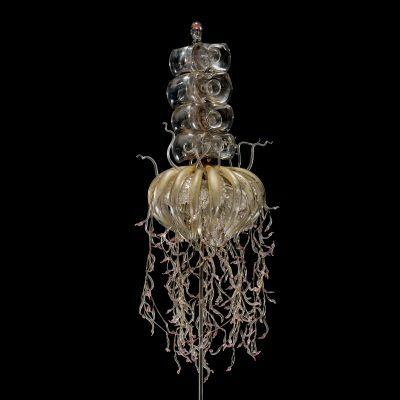 The tentacles were glued to the main body, but there is only a very small attachment point so they remain extremely fragile. It is so sensitive to vibration that at least one tentacle has become detached every time it has been moved. There are cracks throughout this ancient two handled cup and the surface is extremely fragile. The glass is susceptible to atmospheric deterioration which has created a network of fine cracks in the surface called crizzling. The crizzling continues under the delicate gilding, causing it to lift and flake off. 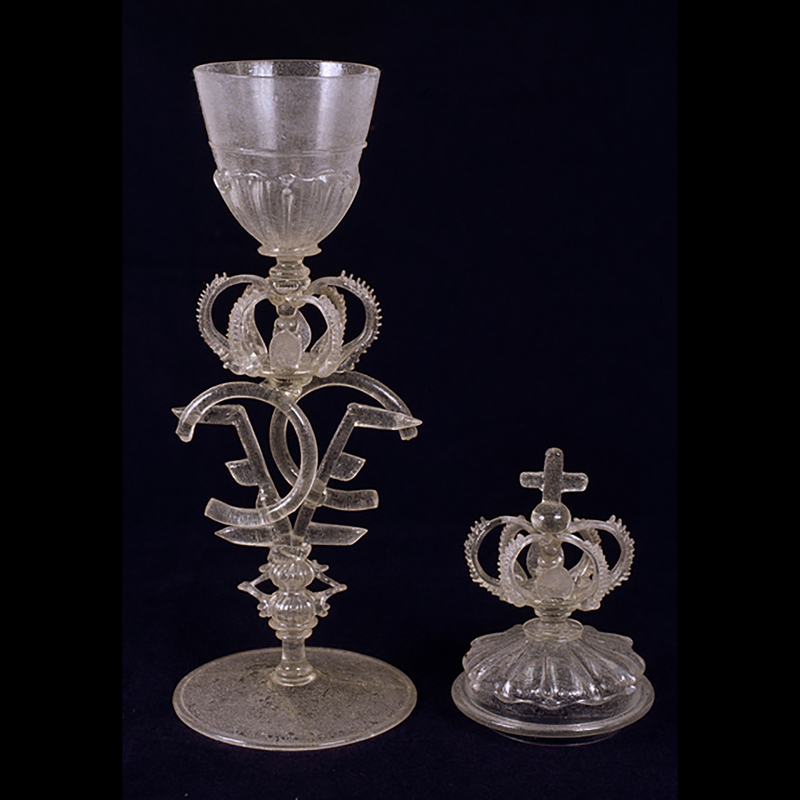 Kungsholmen Glasshouse, probably Sweden, about 1680-1693. 65.3.56. 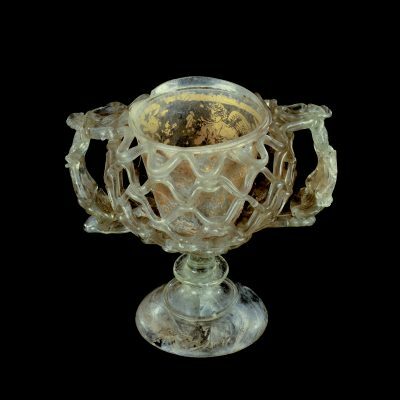 The glass of this large covered goblet (18 inches tall with the lid on) is chemically unstable. It has deteriorated so much that it literally started falling apart. An experimental consolidation treatment has given the glass back some strength, but it is still quite fragile. A specially made silicone rubber cushion under the foot helps support the weight of the goblet and the lid is too heavy to be able to place it safely on top of the goblet. Stanislav Libensky (Czech, 1921-2002) and Jaroslava Brychtova (Czech, b. 1924), Zelezny Brod, Czech Republic, 1993. Gift of the artists. 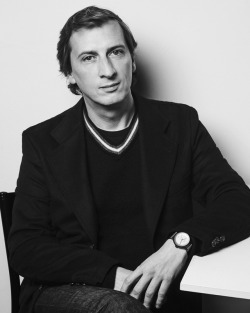 © Stanislav Libensky © Jaroslava Brychtova. 94.3.101. 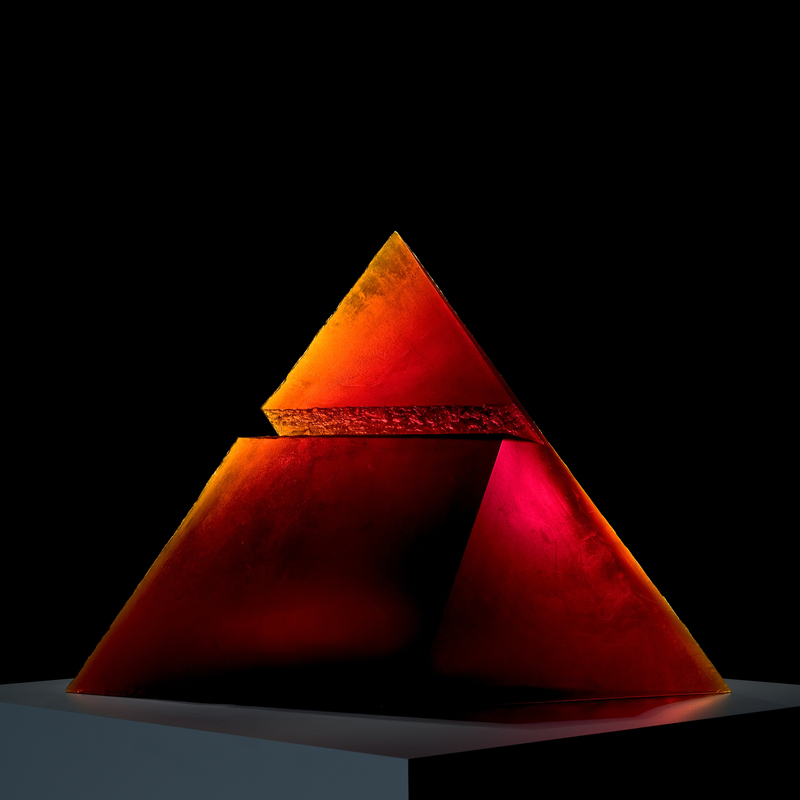 A horizontal angular notch is cut into the front plane of this solid glass sculpture leaving only a thin section of glass to support the top of the pyramid. This structurally precarious area, the thin, sharp edges and the sheer size and weight (500 lbs) make moving this striking sculpture a daunting challenge. Dafna Kaffeman (Israeli, b. 1972), Jerusalem, Israel, 2003. Gift of Dale and Doug Anderson. © Dafna Kaffeman. 2005.3.22. 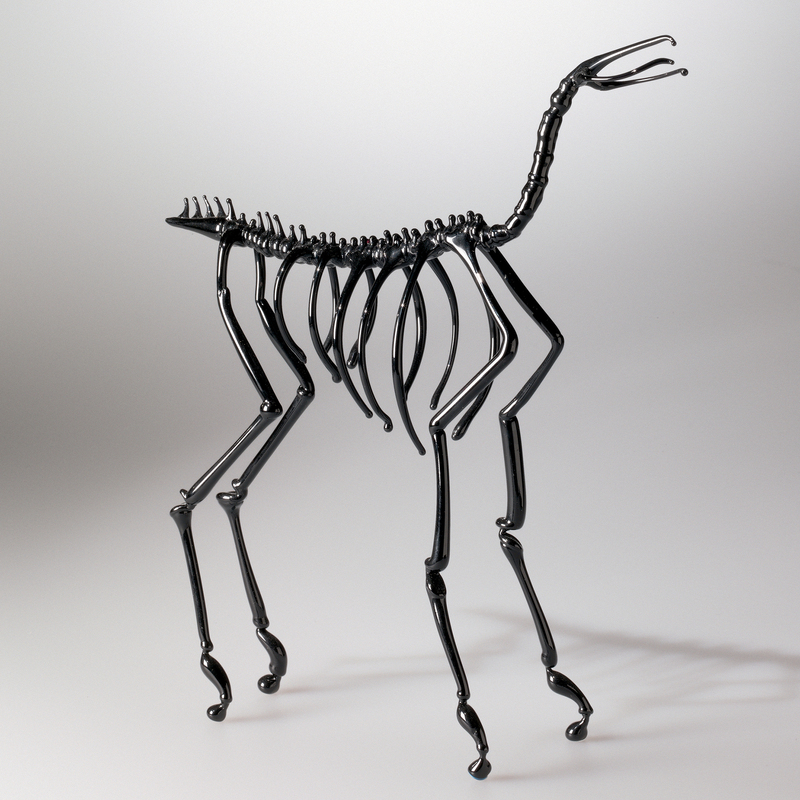 Our conservators are starting to think this delicate flameworked creature may be cursed. This is an image of the original piece which was broken beyond repair in a freak accident. 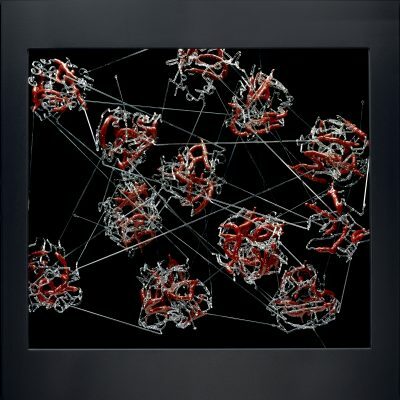 Luckily, the artist still had some additional versions which the museum obtained (see 2011.3.118 and 2012.3.1). Each of the two replacement pieces has also broken. Attributing the damage to a supernatural cause may be tempting, especially this time of year, but a more likely explanation is the thinness of the glass itself. Roman Empire, 300-325 A.D. Purchased with funds from the Arthur Rubloff Residuary Trust. 87.1.1. 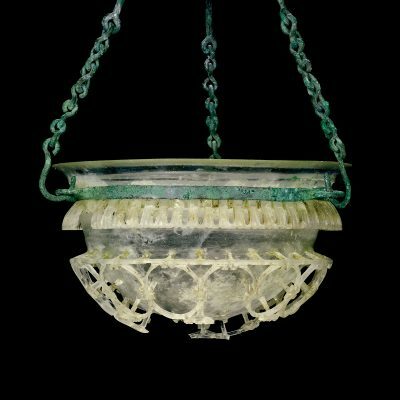 This nearly 2,000-year-old luxury glass is scary to move because of its rarity (only 12 mostly intact cage cups are currently known) and the thinness of the glass. While the bowl itself is in pretty good shape, the cut cage around it is very fragile. The fact that it is suspended from a corroded metal lamp-hanger is an added complication. Vittorio Costantini (Italian, b. 1944), Venice, Italy, about 1985-1989. 86.3.66 G.
Even someone who is not afraid of spiders might have misgivings about moving this creepy critter made of extremely thin glass. 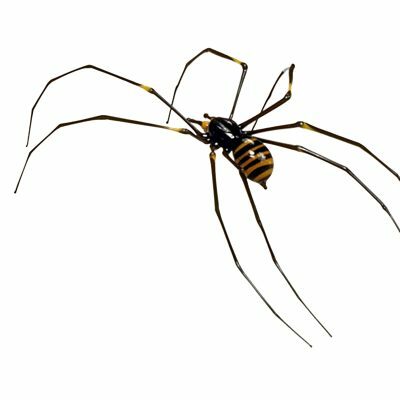 The ends of the long legs could easily catch on fabric and break off. C. Dorflinger & Sons, White Mills, Pa., about 1880-1900. Gift of Harriet Koehler Brett. 99.4.85. Each of these tall towers (over 46 inches) is made up of four sections of glass: three vase-like sections, filled with colored liquid, and a stopper. 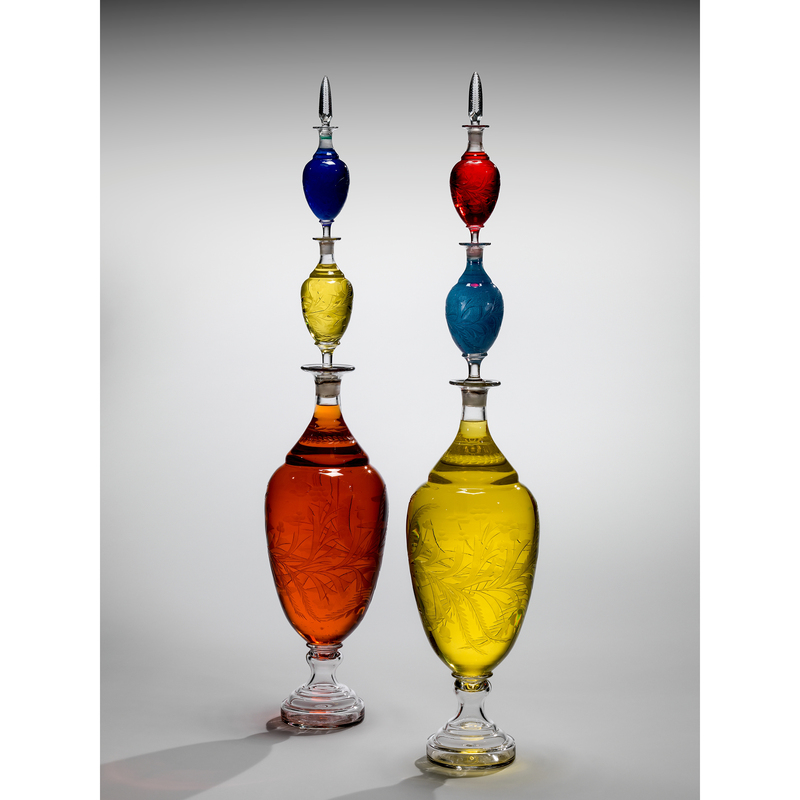 The glass sections are stacked on top of one another with the bases of the smaller vases acting as stoppers in the openings of the larger vases below. While the glass itself is sound and not particularly fragile, the height, the liquid inside, and the delicate connections between the sections make handling these objects a harrowing experience. These 10 objects vary greatly in size, shape, and what makes them difficult to move, which means that our approach to moving them differs from one object to the next. Whether these objects are moved on a large, reinforced, padded pallet with a hydraulic lift, or hand-carried in a small, strategically cushioned box, they all have two things in common: they are moved with a lot of careful planning and only when absolutely necessary! Astrid van Giffen is the Museum's associate conservator. 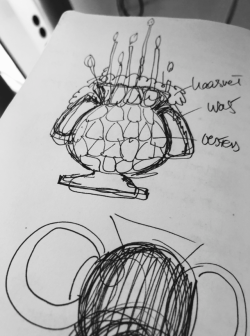 In 2007, she completed the conservation training program of the Netherlands Institute for Cultural Heritage (ICN) in Amsterdam, with a specialization in glass and ceramics. 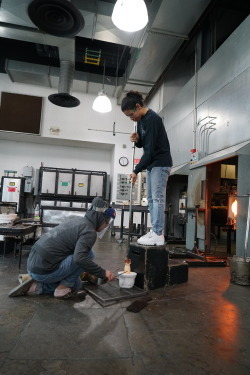 Her training included internships at the Walters Art Museum in Baltimore, Md,, and The Corning Museum of Glass in Corning. Since completing the ICN program, she’s worked as a private conservator in Oregon and was the Samuel H. Kress Fellow in Objects Conservation at the Straus Center for Conservation and Technical Studies of the Harvard Art Museum (2008-2009). She also holds a BA (2001) in Classical Studies from Willamette University. I have had to move pieces at the National Bottle Museum that make me nervous, but they’re nothing compared to theses.